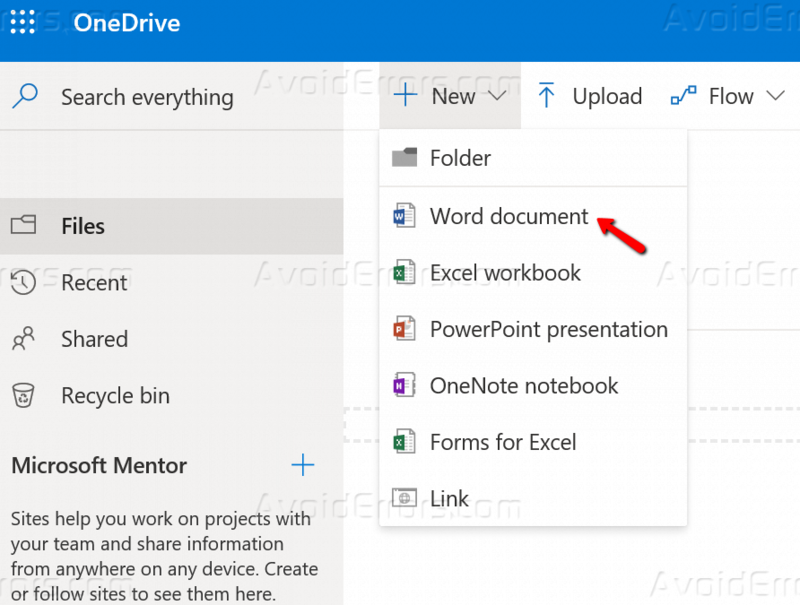 OneDrive for Business is a drive space assigned for an individual or business. OneDrive for Business is commonly referred to as One Drive for Business. One Drive for Business by default it comes with 1TB of storage space for the following licenses Of Office 365 such as Proplus, Business Premium, Business Essential, E1, E3, and E5 and can be increased till 5TB. 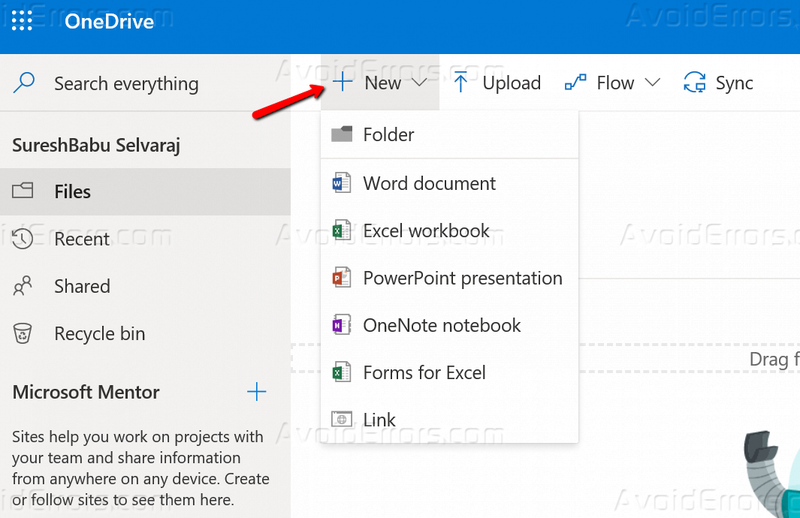 How to work on Microsoft Office files in OneDrive for Business? Go to your Office365 account and log in then select One Drive for Business. 2. One Drive for Business home page will appear. 3. Click on New to add a folder or a word, excel, presentation documents in Online browser. 4. Now, select Word document. 5. Once if a word document is selected, the user will be navigated to a new screen. 6. Click at the center and the user can rename the document and the data can be entered. 7. The same document will be now visible at your home screen of One Drive For Business. Note: This is how Excel, PowerPoint, OneNote, and Forms will work by clicking on the New option.